With a new exhaust, this 991.2 Carrera S sound incredible. There has been endless debates among enthusiasts as to whether a turbocharged engine can ever match the sound of a naturally aspirated one. As some cars downsize their engines, we compare them to their naturally aspirated predecessors. The Ferrari 488, for example, doesn't sound quite as good (to our ears) as the 458, even with an an Akrapovic exhaust. The C63 AMG was able to retain a very nice exhaust note despite having a turbocharged engine, but Porsche fans are much more picky. How does the new turbocharged 991.2 911 stack up? 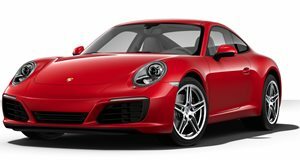 When Porsche revealed the 991.2 generation 911, it angered some purists because there was no longer a naturally aspirated option aside from the GT3 and GT3RS. This generation is much faster than the outgoing generation, but many people think it doesn't sound as nice. Can an aftermarket exhaust fix that? This 2017 911 Carrera S is fitted with a Fi exhaust. The Taiwanese company produces custom exhausts for everything from Toyotas to McLarens, and this new system for the 991.2 911 is amazing. The system features a ultra-high-flow down pipe which skips the catalytic converter. There are also valves in the muffler which can be controlled by a smartphone app. In some regions of the world, this setup may be illegal, but it sure does sound good. It reminds us of turbocharged cars from the 1980s, which were much more raw. We think that this exhaust proves that turbochargers can sound amazing, they just might need a little help from the aftermarket community.